Archie Griffin is considered one of the greatest college football players in history. As a running back at Ohio State, he was a three-time All-American (1973-75) and is the only two-time winner of the prestigious Heisman Trophy, given each year to the top collegiate football player in the country. In 2006, he was listed by the NCAA as one of its top “100 Most Influential Student-Athletes”. 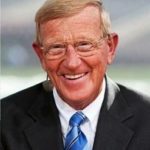 He was also appointed to the National Football Foundation &; College Hall of Fame Board of Directors. Most recently, Michigan State University presented Griffin with the Duffy Daugherty Award given to individuals for lifetime achievement and contribution to collegiate football. And locally, he was inducted into the Ohio High School Athletic Association Circle of Champions. In 1976, Griffin was a first round draft choice of the Cincinnati Bengals, where he served as co-captain and played with the franchise for eight years. Griffin returned to his alma mater in 1984 and accepted the position of Special Assistant to the Director of Athletics shortly thereafter. 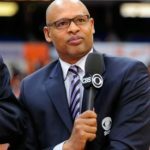 Two years later, he was named Assistant Director of Athletics for External Affairs and, in 1994, was named Associate Director of Athletics for Sports. 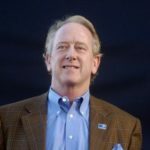 In 2004, Griffin became president and CEO of the Ohio State Alumni Association, one of the largest dues-supported alumni associations in the world. 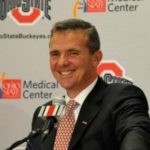 Griffin has been a consistent supporter of Ohio State and the community throughout his career. 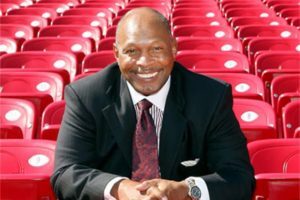 He created the Archie Griffin Scholarship Fund and, along with his wife Bonita, formed the Archie and Bonita Griffin Foundation Fund that helps develop sports, educational, and travel programs for youth in central Ohio. Griffin is the spokesperson for the Wendy’s High School Heisman Program and is also a member of many charitable organizations, including the Columbus Foundation, Columbus Youth Foundation, Columbus Recreation and Parks Commission, Centennial Honorary Committee for the Central Ohio Breathing Association, Advisory Board for the ADA’s Advocacy Leadership Council of the American Diabetes Association, Columbus Metropolitan Library Foundation Board, and serves as honorary chair of the Diversity Enhancement Program for The James Cancer Hospital and Research Institute.